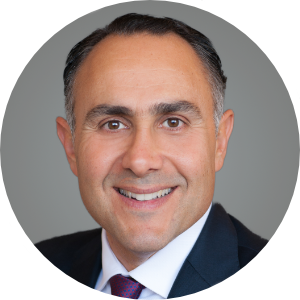 Paul Rahimian currently manages a debt fund that provides construction financing to ground up real estate development projects throughout the Western United States. He founded Parkview Financial in early 2010 and has since originated hundreds of commercial and residential loans, always plying his trademark hands-on management style. Distinguished from its competitors by dedicated in- house finance and accounting professionals Parkview is widely recognized as a pioneer in the industry, among the first to offer complete integration of loan origination and servicing. Prior to becoming a lender, Paul was a third-generation real estate developer and general contractor. Between 1988 and 2009, he successfully completed over $350MM in commercial and residential projects. His vast expertise and knowledge in the construction and development industry has benefited both Parkview and its borrowers. Paul received his B.A. from UCLA in Business/Economics and his Juris Doctorate from the University of Southern California.